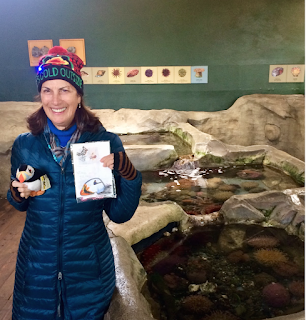 Sue Neulist recently moved to Port Townsend where, surrounded by wildlife and the wonders of local tide pools, she was inspired by the Port Townsend Marine Science Center’s mission to conserve the Salish Sea. She has been volunteering at the Marine Exhibit since the summer of 2017. Sue’s personal connection to the Salish Sea comes from kayaking around the area and hiking with her dog Merlin. The incredible beauty of the Salish Sea has sparked her interest in keeping the area healthy. 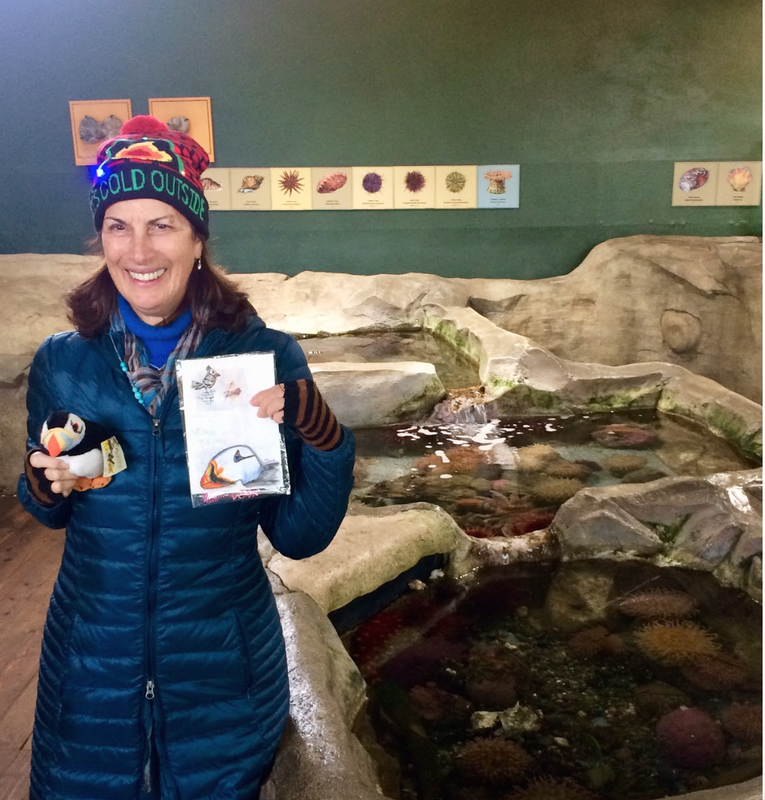 Sue’s favorite animal is the Tufted Puffin, which she has loved for many years. When teaching 5th graders, her students would save up their spare change and bring it to class to support bird programs. During the month of December, the Port Townsend Marine Science Center is raising money to support place-based, people powered, hands-on learning. Your donation will help fund activities that inspire, such as youth summer camps, beach walks, touchable tide pools, and tours of the Orca Exhibit. Please send your gift or donate online at www.ptmsc.org by December 31st to receive a tax deduction. Interested in becoming a PTMSC volunteer and working alongside inspired volunteers like Sue Neulist? Fill out our Volunteer Application! Questions? Contact Volunteer Coordinator Gabriele Sanchez at 360-385-5582 X 120, or send an email to volunteer@ptmsc.org. Both exhibits OPEN for the holidays!